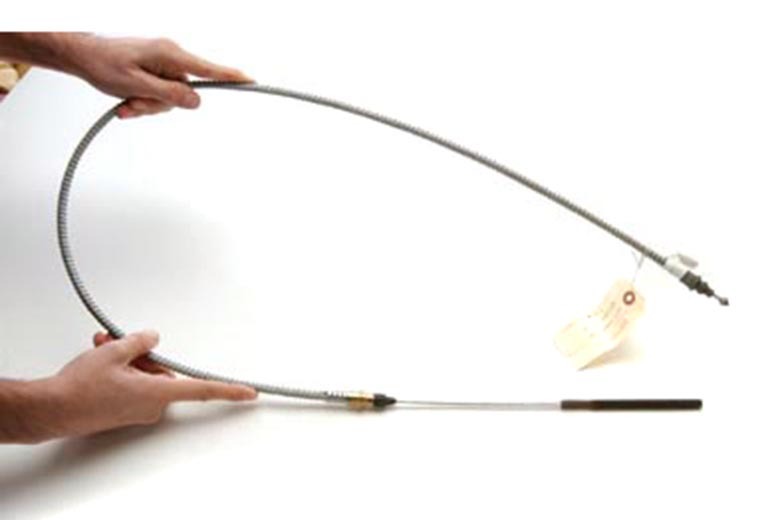 This is the front parking brake cable for all Scout II except those with diesel engines. If you have a diesel engine, see SP13718. Most cables have either fused with rust from road salt, or have been frayed from abuse. Not only is it dangerous to not have a functional emergency brake, but it is illegal in most states. Get one of these and give yourself peace of mind. This is 45"s long.